Swollen feet, also known as chilblains, is a common problem that arises during the winter or when you are exposed to very cold temperatures. People living in cold and humid regions are very well aware of the condition. In most cases, chilblains take 1-3 weeks to heal on its own if further exposure to cold is avoided. 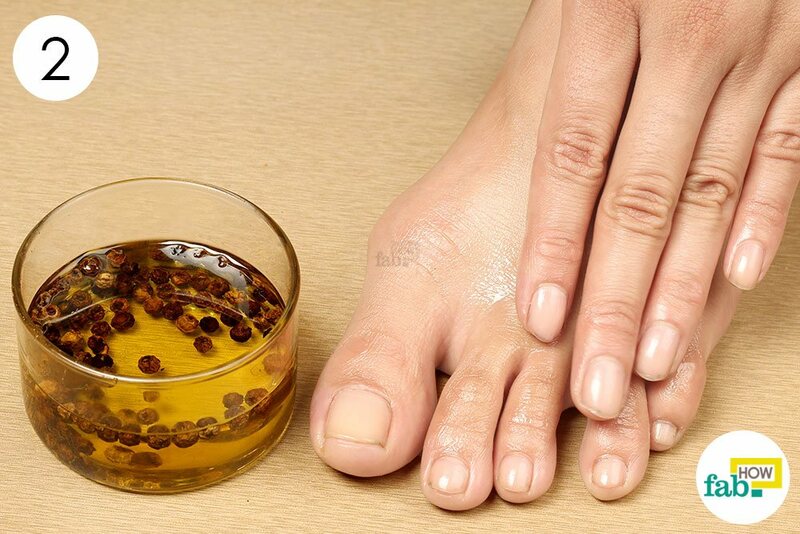 Meanwhile, you can try natural ways to reduce swollen feet in winter. While this is not a disease, the condition is a result of sudden warming of the skin after prolonged exposure to cold temperatures. This sudden change in temperature causes quick expansion of the blood vessels, leading to leakage from the blood vessels and blood flowing into the nearby tissues. The leakage from the blood vessels gives rise to symptoms like intense itching, a burning sensation, pain, redness and swelling in the affected area, dryness and inflammation. In severe cases, the condition may also lead to blisters, infection, and ulceration. Chilblains mostly affect the feet, toes, fingers, hands, ears, earlobes and nose. While anyone of any age may develop the condition, it is most common among children and older adults. The most important and effective treatment for swollen feet is to improve the blood circulation in the area. In most cases, chilblains heal on their own within one to three weeks. However, the severity of certain cases demands remedies to reduce the intense discomfort. Some simple home remedies can help improve the blood circulation to the affected area, thus reducing the swelling and discomfort. Here are six simple ways to reduce swollen feet in winter (chilblains). Poor blood circulation and sudden warming of the feet after continuous exposure to cold temperatures is the major cause behind swollen feet. So, elevating the feet is one of the best remedies to reduce swollen feet in winter. Place your feet on a few pillows to elevate them. 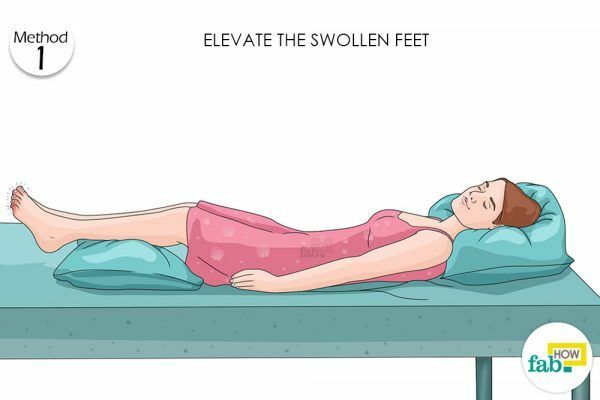 Leave the feet elevated for 1 hour, then rest for 30 minutes. Repeat 4 or 5 times a day until you get rid of swollen feet in winter. Another excellent remedy for swollen feet is an oil massage. It helps warm up your blood vessels and reduces swelling and inflammation. Rubbing and massaging with oil also creates pressure in tense muscles to improve circulation and stimulate drainage of excess fluid to reduce swelling in the feet. 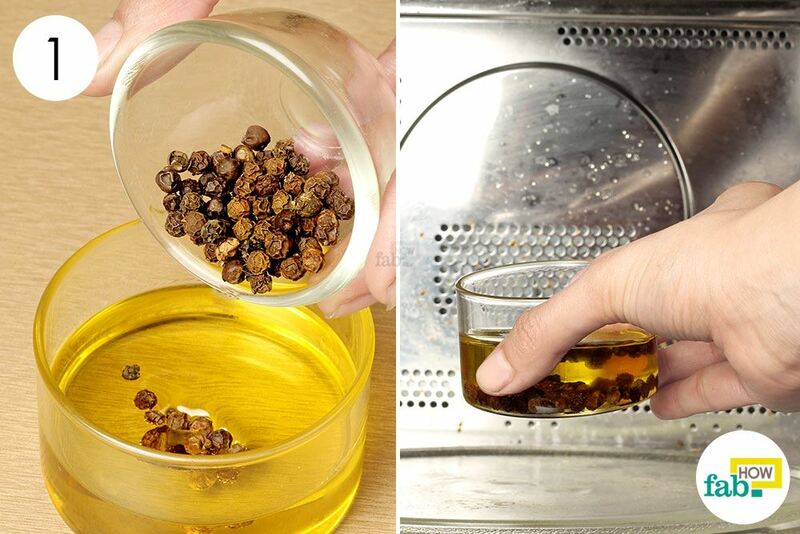 Throw 1 teaspoon of peppercorns into 2 tablespoons of mustard oil. 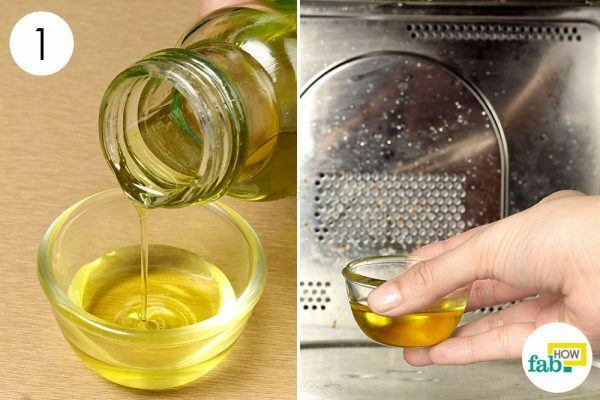 Warm up the oil in the microwave for 1 minute. Gently rub and massage the oil blend on your swollen feet for 5 to 10 minutes. Repeat the process twice daily, in the morning and at night before going to bed, until you get relief from swollen feet in winter. 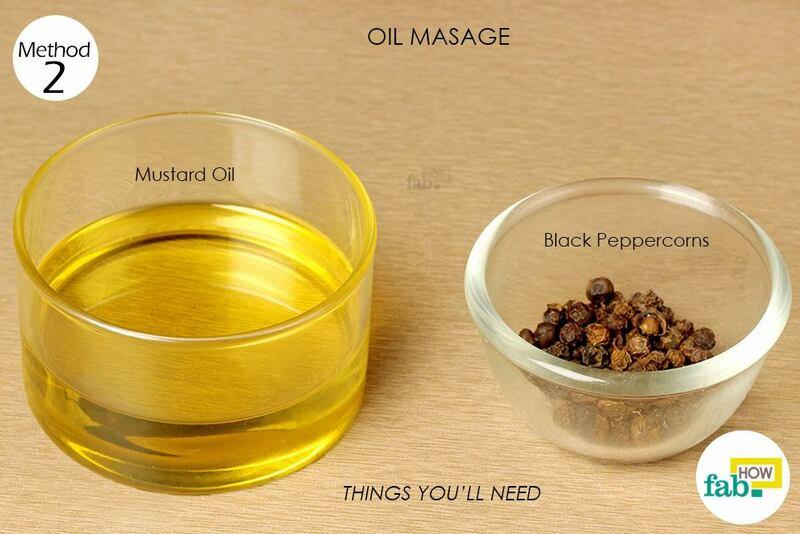 Alternatively, you can use olive oil or coconut oil for this massage. Note: Do not use this remedy if your skin is abraded or bruised, as this leads to a burning sensation, inflammation, and pain. Epsom salt contains magnesium sulfate, a compound that is easily absorbed into the skin and works to reduce swelling and improve circulation. Moreover, it helps alleviate pain, discomfort, redness, and puffiness of the swollen feet, while also relaxing tense muscles. 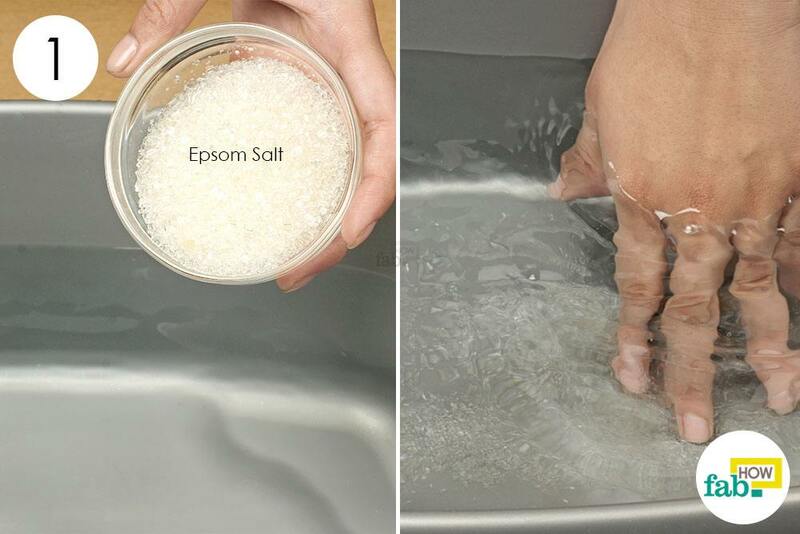 Add ⅓ to ½ cup of Epsom salt. 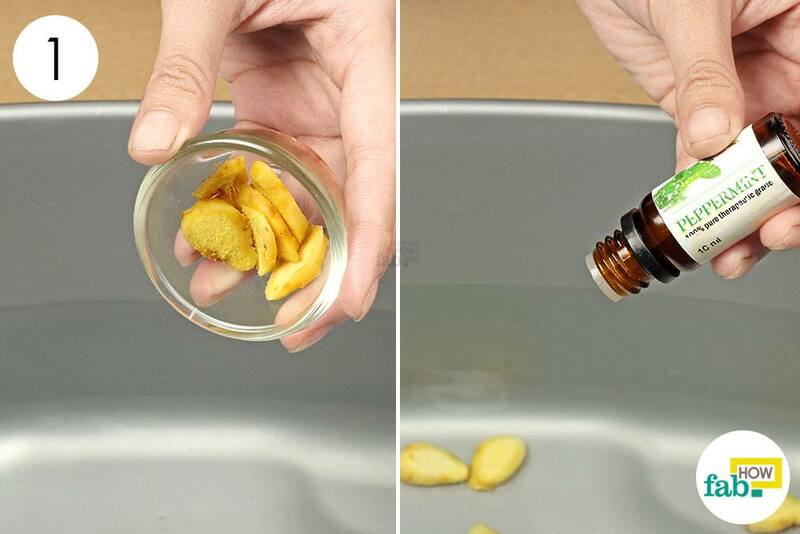 Mix well to dissolve the salt in the water. Soak your feet in the footbath for 15 minutes. 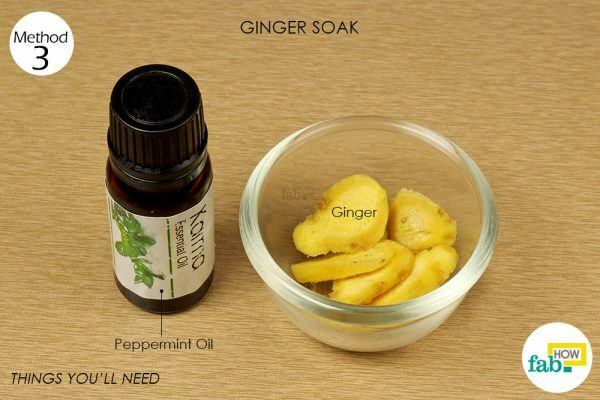 Do this twice a day for quick relief from swollen feet in winter. Continue doing this for 3 to 5 days until it treats your chilblains. Moreover, ginger and peppermint essential oil boast anti-inflammatory properties that work to reduce swelling and discomfort, while also improving the flow of blood. Throw in peeled and diced pieces of 4 or 5 chunks of ginger. Blend in 8 to 12 drops of peppermint essential oil. Repeat the process 2 times each day until you treat chilblains on feet. While warm water improves blood circulation, the cold water helps reduce swelling and inflammation. Fill 2 foot tubs with water – one with warm water and the other with cold water. Soak your feet in warm water for 2 to 3 minutes. Immediately, put your feet in the cold water and soak for about 1 minute. Alternate continuously for 15 minutes. Do this twice a day to get fast relief from swelling. Repeat until you heal chilblains. The simplest natural remedy for swollen feet is to wear socks and limit your exposure to the cold. For added benefits, use compression socks specifically designed for reducing swelling and pain in the legs and feet. Grab and put on a pair of socks. Repeat the treatment until you get relief. The anti-inflammatory and healing properties in the essential oils reduce swelling, while also providing warmth to your feet. 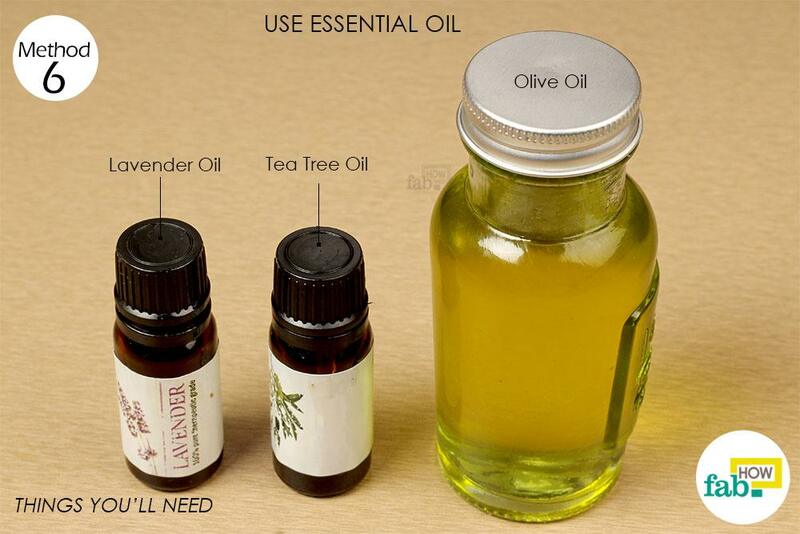 Note: Essential oils are harsh on skin and need to be diluted with base oils for better application and results. Pour 1 tablespoon of olive oil into a bowl. Heat the oil in a microwave for a few seconds. Squirt 4 or 5 drops each of lavender and tea tree essential oils into the olive oil. 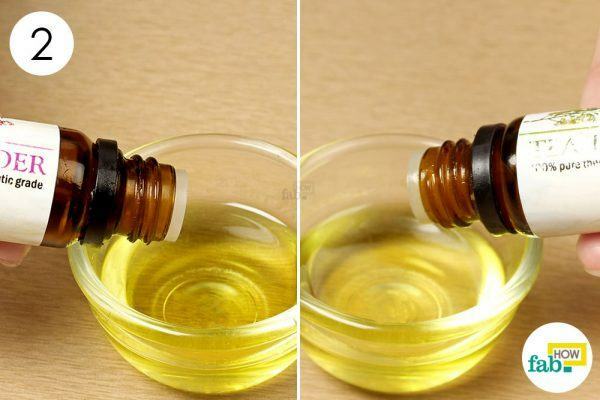 Massage the oil blend on your swollen feet for 5 minutes and leave it on overnight. This allows the oil to better absorb into the skin. Repeat the process every night until it reduces your swollen feet. Keep your entire body warm at all times. Avoid long periods of exposure to cold or damp weather. Wear several layers of clothing rather than one bulky layer to trap body heat more effectively. Wear socks to help keep your feet warm and maintain blood flow. To allow free flow of air to the feet, wear wool or cotton socks. Wear comfortable shoes that do not squeeze your toes. Avoid scratching the affected skin, as it can damage the skin. Drink hot drinks several times a day to keep your entire body warm. Practice gentle exercises like walking or jogging every day to improve peripheral circulation. Han SW, Lee M-S. The effect of fluidotherapy on hand dexterity and activities of daily living in patients with edema on stroke. Journal of physical therapy science. https://www.ncbi.nlm.nih.gov/pmc/articles/PMC5890226/. Published December 2017. Kang, Ji-Young, Chun, et al. Anti-inflammatory Activity and Chemical Composition of Essential Oil Extracted with Supercritical CO2 from the Brown Seaweed Undaria pinnatifida. AGRIS. http://agris.fao.org/agris-search/search.do?recordID=US201600113558. Published 2016. Nan BYQ, Ismiarto Y, Sugianli AK. Role of Kletik oil, Ginger and Garlic Extracts towards ... https://www.researchgate.net/publication/313883020. Published September 2016. O'Brien JG, Chennubhotla SA, Chennubhotla RV. Treatment of edema. American family physician. https://www.ncbi.nlm.nih.gov/pubmed/15952439. Published June 1, 2005. Lim CS, Davies AH. Graduated compression stockings. CMAJ: Canadian Medical Association journal = journal de l'Association medicale canadienne. https://www.ncbi.nlm.nih.gov/pmc/articles/PMC4081237/. Published July 8, 2014. Cardia GFE, Silva-Filho SE, Silva EL, et al. Effect of Lavender (Lavandula angustifolia) Essential Oil on Acute Inflammatory Response. Evidence-based complementary and alternative medicine : eCAM. https://www.ncbi.nlm.nih.gov/pubmed/29743918. Published March 18, 2018. 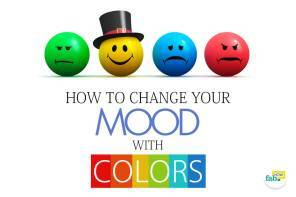 Good information as it is a common problem with most of the people. I have given my view as I feel problem with my body during winter.